Family and friends of Luisa Joy G. Labez will celebrate her remarkable life on Saturday, March 11, 2017, at Ko'olau Ballrooms, beginning at 10 a.m. She died of cancer in Arlington, Va., on Jan. 22, 2017. She was 62. Born in Manila, Philippines, on Sept. 26, 1954, Joy came to Hawaii at age 15. A 1971 graduate of McKinley High School, she earned her bachelor's from the University of Hawaii and a Master of Public Administration from San Francisco State University. 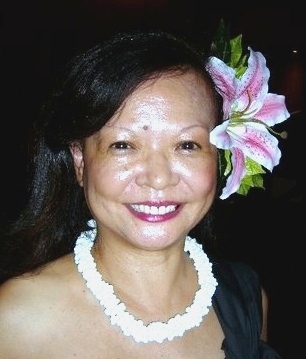 Joy worked for the Hawaii State Department of Transportation and was Senior Planner with the Judiciary's Office of the Administrative Director of the Courts. In 1991 she joined the U.S. Government Accountability Office in Washington, D.C. She began as an evaluator and rose to Assistant Director of International Affairs and Trade, traveling the world to evaluate U.S. food assistance programs. Joy is survived by sisters Alma Elmer, Faith Labez, Pat Labez Muntz, brother Hipolito Labez, and loving nephews and nieces. Following the reception on March 11, inurnment will take place at 2 p.m. at Hawaiian Memorial Park Cemetery beside her beloved brother, Zachary G. Labez, a city deputy director and community leader, who died in January 2003.